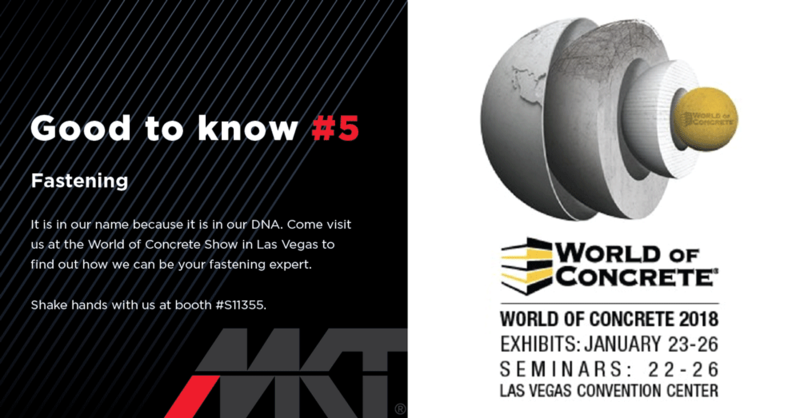 Come see what’s new at World of Concrete from MKT Fastening! January 22nd - 25th, Booth S10801. We are happy to present two new products - the Sup-R-Stud V TZ and the Sup-R-Bolt (both are ICC approved for cracked and uncracked concrete). You can see also our Taper Bolt.